The Southside SF Tikkun Olam Collaborative has focused for their 2015/16 theme: Feeding the Hungry in SF. 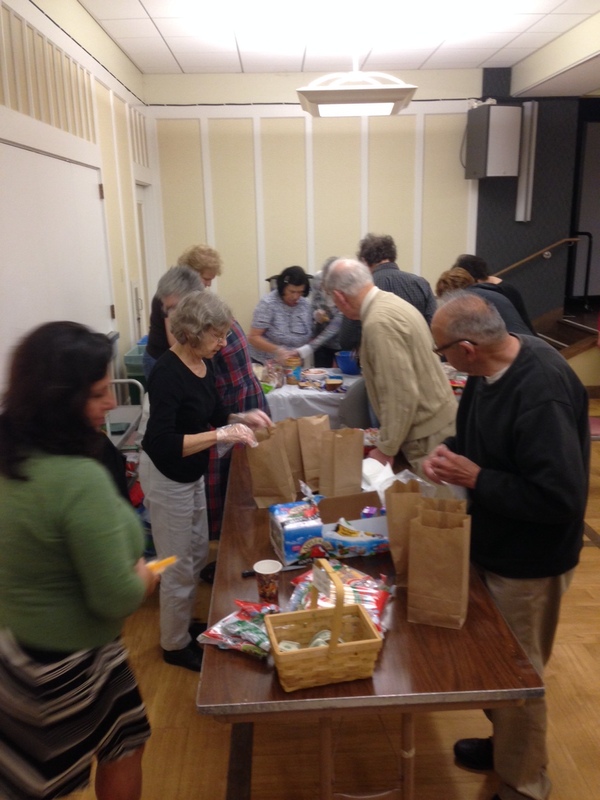 As part of their work, synagogue members volunteer monthly at the SF-Marin Food Bank and lunch-bag preparation activities. The lunches are distributed by the SF Homeless Outreach program. This entry was posted in Tikkun Olam and tagged Community outreach, San Francisco Synagogue Collaborative. Bookmark the permalink.